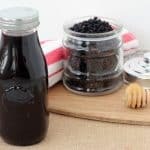 Ninja Ultima Blender + Smoothie Recipe For Fighting The Flu! 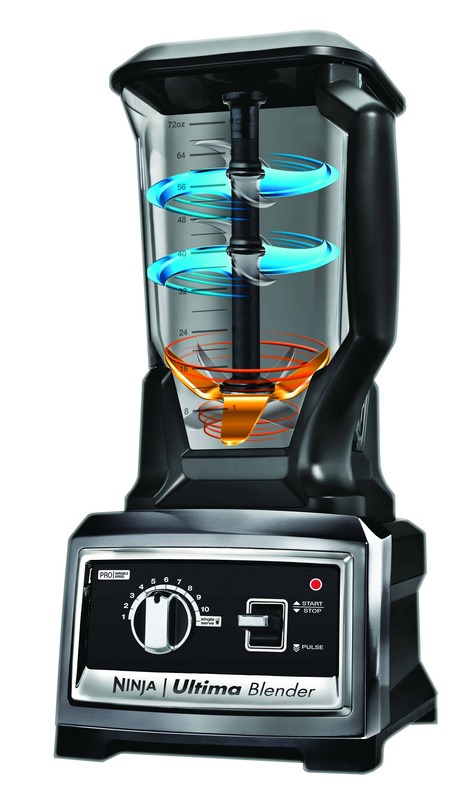 Why is it that it seems like it is so difficult to find a nice blender? I’ve gone through so many through the years that just don’t get the job done. I had heard lots of raving Ninja Ultima review accounts so I decided that maybe, just maybe, this would be the one that would do what it said it would. Ninja’s expansive speed range offers everything from gentle blending to total crushing to Nutrient Complete Juicing™. You can easily adjust to the correct speed without worry of over mixing or processing. 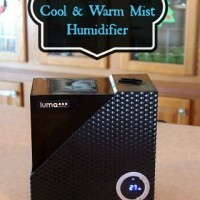 That means that you can use it to make everything from smoothies to healthy meals. I was intrigued and decided to give it a try. One thing unique to the Ninja Ultima is the Total Crushing™ Blades that rotate at 5,000 RPM that CRUSH whole fruits, vegetables, seeds & ice. You typically don’t see the top blades in any other blender. The bottom High Speed Cyclonic Blades rotate independently at 24,000 RPM to liquefy ingredients into a silky smooth consistency in a matter of seconds. This combo of blades really sounded impressive so I had to put it all to the test! 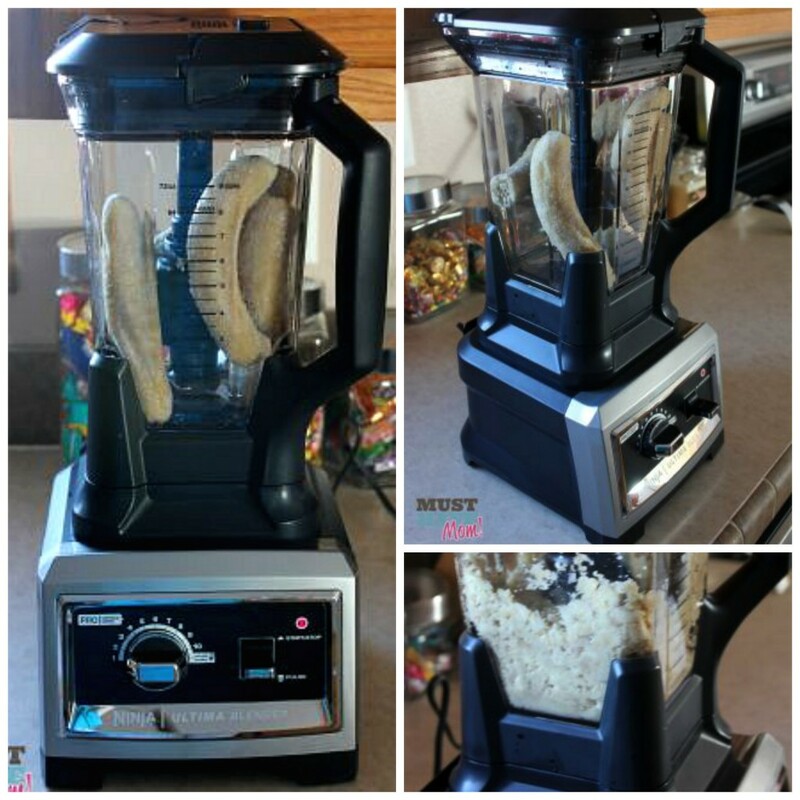 I have been dying to try frozen pureed bananas. Yes, I’ve had them in smoothies before and that is nothing new but I wanted to try them alone as I had read that it tastes like banana ice cream and is so much better for you. I had some frozen bananas in the freezer just waiting to test it out. My old blender couldn’t handle creaming them into a nice consistency so I was eager to try it in the Ninja Ultima. I put the bananas in alone, without any liquid, and set the speed dial to 5. I pureed until they were smooth and I couldn’t wait to try it. Sure enough the Ninja had no problem getting them to a creamy consistency and it DOES taste like banana ice cream! Here is the perfect guilty pleasure that you don’t have to feel bad about! You definitely need to give it a try! I love the safety features that Ninja built in and the ease of cleaning. The blades look pretty wicked and I was afraid at first that it would be hard to clean. The top blades easily pull out and are one solid piece. You can then put everything in the top rack of the dishwasher and wash it so you don’t have to worry about cleaning the blades by hand and cutting yourself. It was easy and safe. One feature I really love about the Ninja Ultima is how easy it is to make a single serve smoothie! There have been so many times that I want just one smoothie but don’t want to dirty the whole blender to make it. With the single serve cup that comes with the Ultima you can easily make a single serving smoothie and take it on the go, all in the same cup! Just attache the blade cap and flip upside down on the blender base. Puree your smoothie and then remove the blade cap and replace with the sipper cap. It closes for easy travel too! I love it! 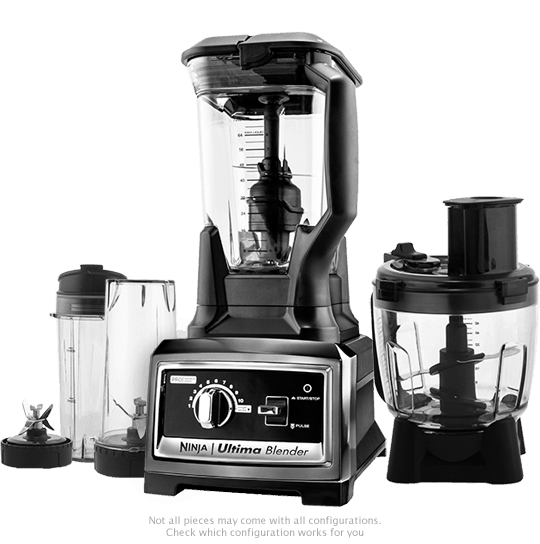 The Ninja website is full of great recipes and additional attachments to allow you to do even more with your blender. This is so useful and can easily replace your blender, your hand mixer, your food processor, etc. It’s one appliance that takes the place of many appliances in your kitchen. Here is a great recipe called the “Ninja 9.” It’s a combination of 9 fruits and vegetables to blend in the Ninja Ultima. 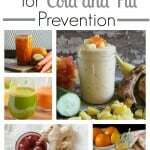 It gives you 1/3 of your daily fiber and is great for fighting the flu! 1. Place the Top Blade in the Pitcher and add all of the ingredients in the order listed. Pulse 3 times. 2. Select Speed 10 and blend for 45 seconds until smooth. You can learn more about the Ninja Ultima on their website. Get it in time for the holidays in stores at Target! 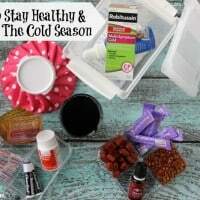 Tips To Stay Healthy & Conquer The Cold Season This Year! It Works For Us! « My Christmas Decor and Holiday Decorating Tips! That smoothie sounds powerful! Chock full of antioxidents. I bet the apple makes it taste sweet. I really want to give this to my brother in law, he deserves it. Have seen an infomercial on this but you really sold me on it! Gonna check it out now online. Thanks! I’d love to own a Ninja. We would love a ninja!